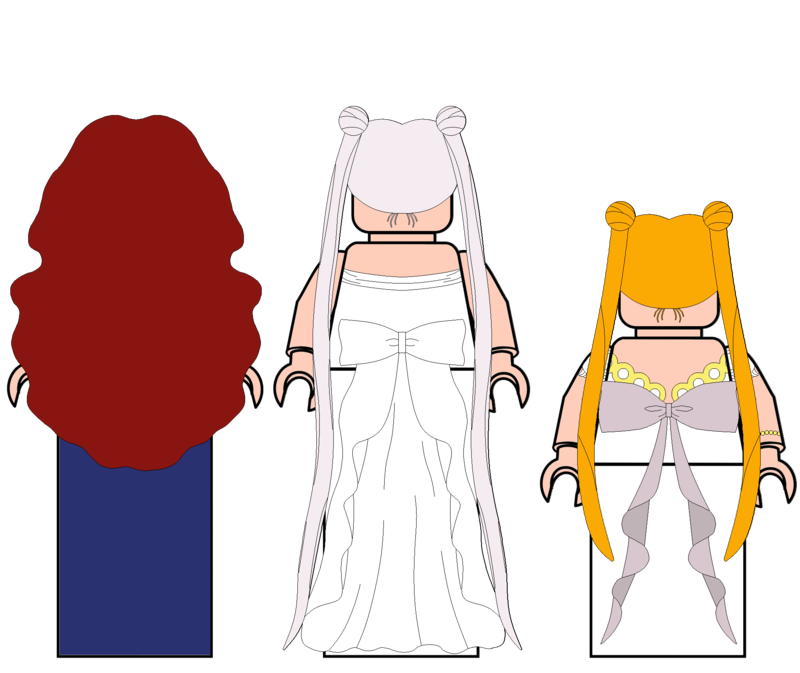 Hello everybody, I've been working on some LEGO Sailor Moon projects and wanted to share what I have done. 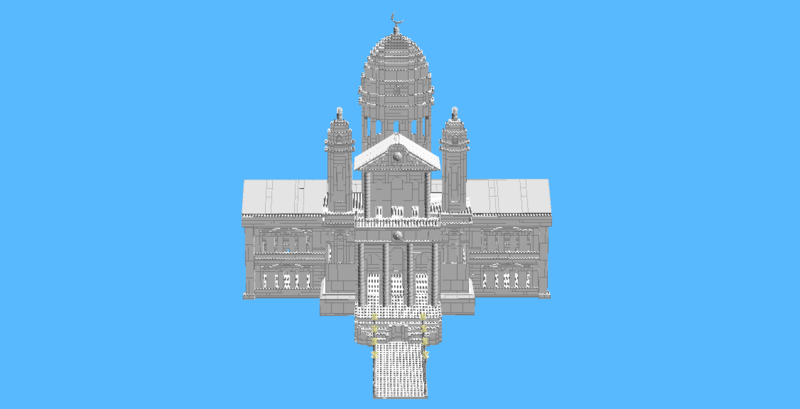 My first project was making a Moon Kingdom castle and some minifigures to go with it. 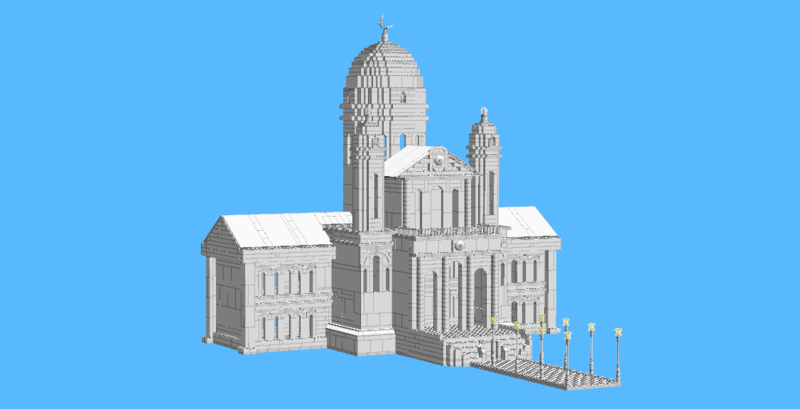 The castle is made of 2,942 pieces, is 116 1x1 bricks across, about 81 bricks tall, and 130 1x1 bricks from front to back. 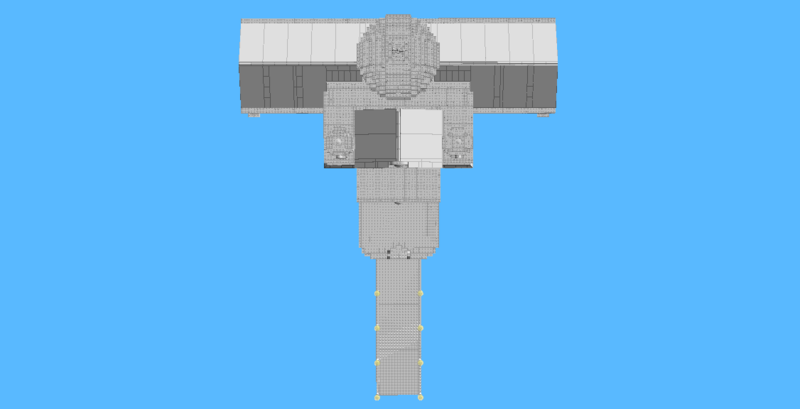 I submitted this as a set proposal on LEGO Ideas, so there's a chance of it becoming an official LEGO set if it gets enough votes. 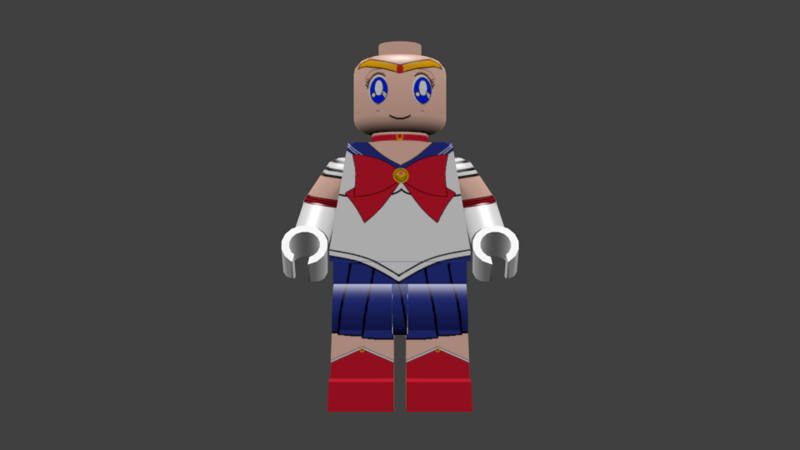 If you want to vote for it, you can go to the LEGO Ideas website and search "Sailor Moon" to find it. Then click the support button. You'll need a LEGO account to vote. 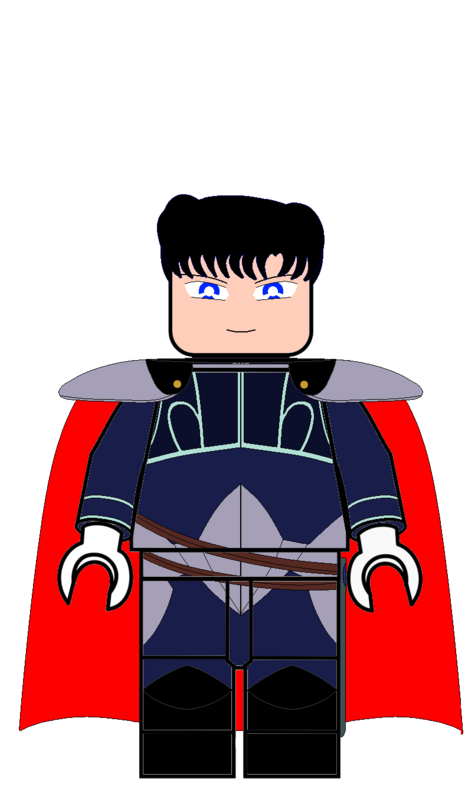 I had to use official LEGO pieces to submit it to LEGO Ideas, so that's why the hair pieces don't match exactly. Omg that Moon Castle is really nice looking!! Do you plan to build more with it? Like recreate the scene of the castle from one of the openings? Omg nearly 3000 pieces!! X.x How long did it take you to create? 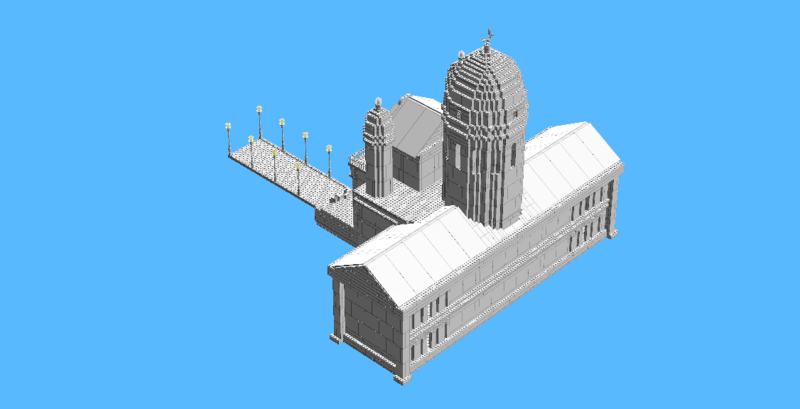 Really nice that you included the walkway with the pillars! I'm going to keep it how it is for now. 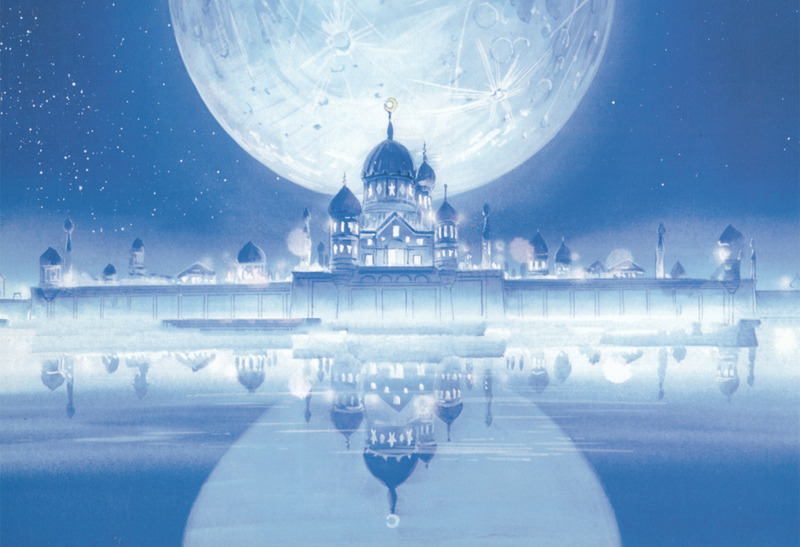 I tried making it a combination of all the Moon Castle pictures I could find. It took a few months for the castle. 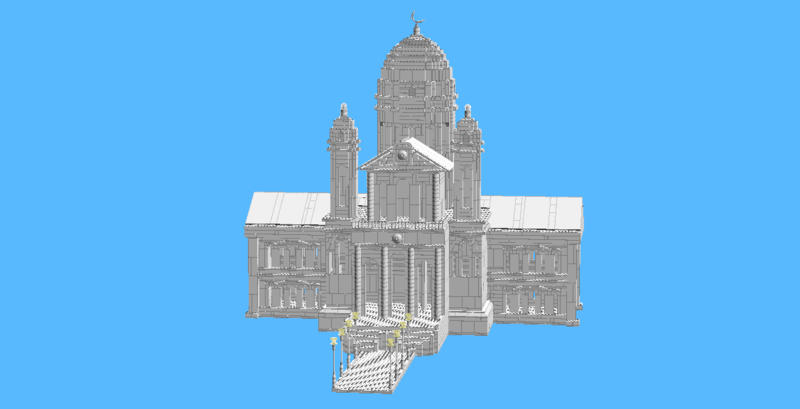 It was originally 4,562 pieces, but I scaled it down/replaced groups of small bricks with one big brick. 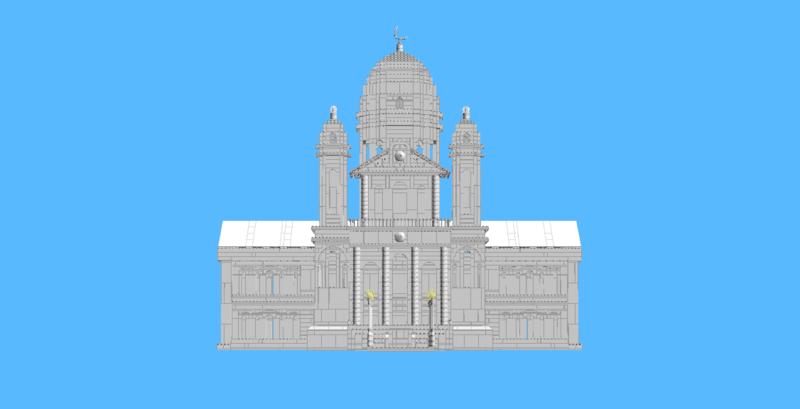 It took about a year to make everything, but I wasn't constantly working on it. The hair pieces took the longest to make for the minifigures, but I've gotten quicker at them with practice. Thanks. 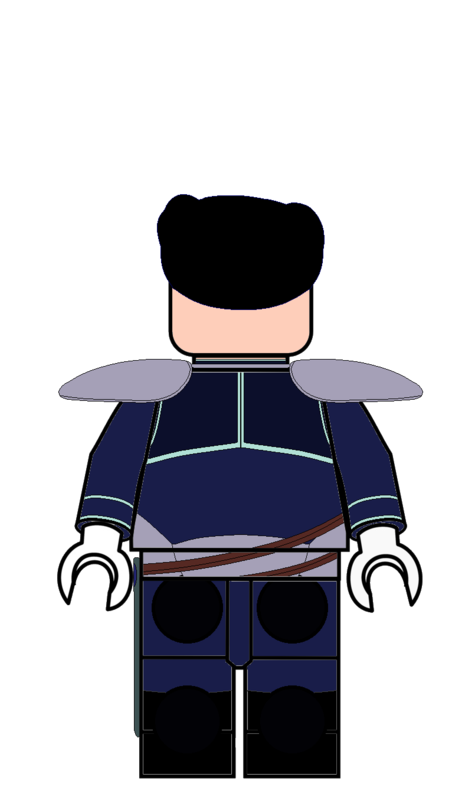 I haven't seen PGSM, but I looked up the generals and they look pretty cool. 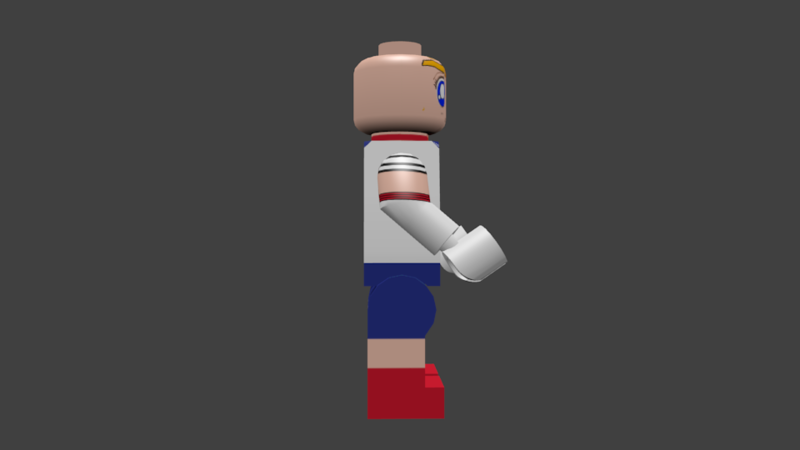 I've finished setting up the UV maps for the model. The detailing on the skirt is brilliant! Wonderful job! 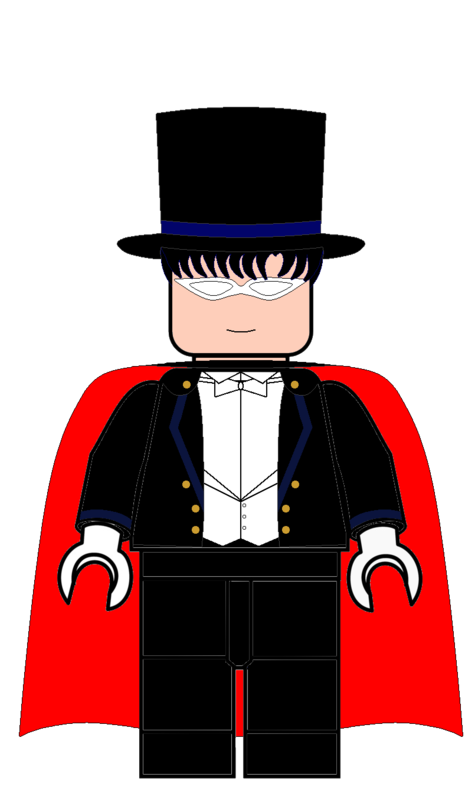 I've finished the rest of the Scouts, Tuxedo Mask, and the Negaverse Generals. 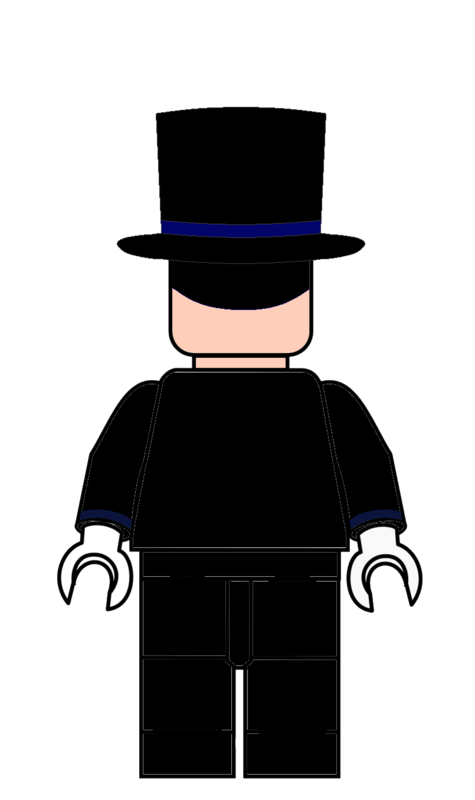 Now that the LEGO Ideas campaign has ended, I can share my original minifigure designs. These designs have custom hair pieces. I just wanted to let you know that they've actually made them! Here's a look at what I've been working on. The normal colored minifigure is the player and is controlled by the arrow keys (or WASD) and the space bar. 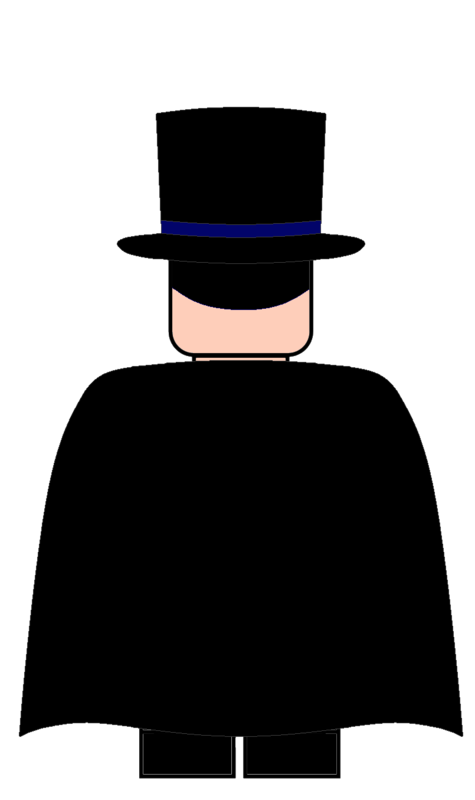 I still need to make an idle animation, but the player waves after not moving for a while. I'm using the green minifigure to test out enemy movement settings. That looks awesome - both the game and the mini-figures! Oh wow I had no idea there were custom fan-made LEGO pieces out there! I wonder how they got them made? Lime what'll you do now that the campaign is over? Will they run it again in future? I love that your face designs are so 90's anime :3. 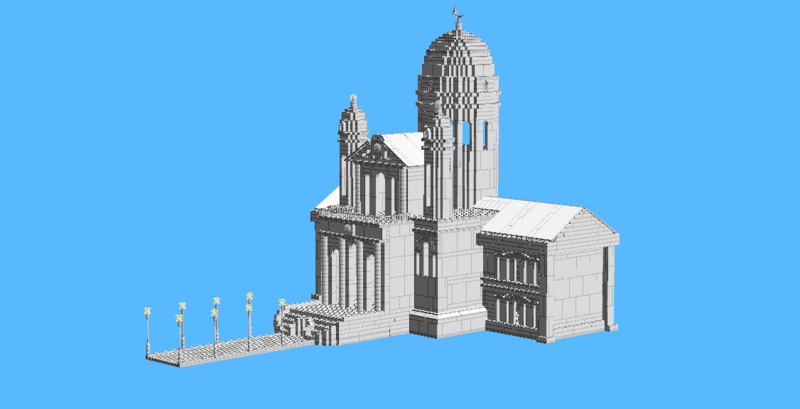 I'm going to try my hand at making a game in the LEGO video game style. I want to make some more custom builds, too. 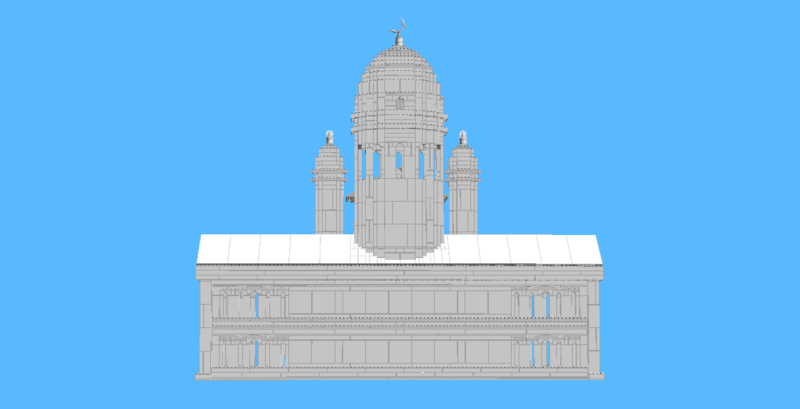 I can propose the project again, but if I do it'll be after working on this for awhile. Yeah, the 90s anime is my favorite. I've gotten the health system working for the player. 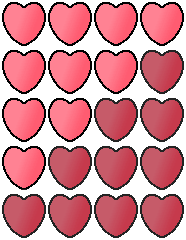 I went through a couple versions when designing the heart sprite. 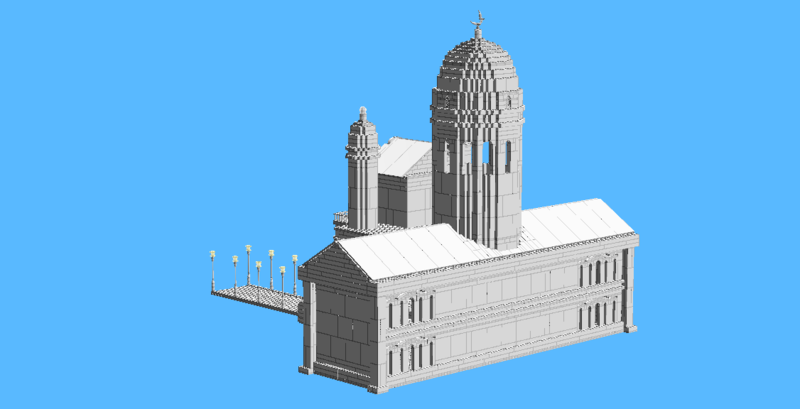 For the first version, I used a screenshot of a LEGO game and then adjusted the color. 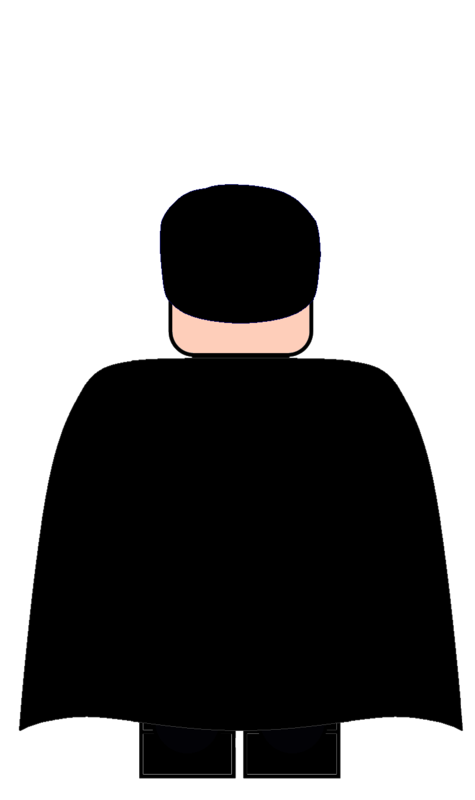 I made the next version myself using the above to guide the shape. I then lightened the colors to make them more pastel. I wanted them to match with the backgrounds of the 90s anime, so I thought pastels fit better. The backgrounds were so pretty. Here's the full sprite sheet for the default hearts. I'm using the white capsule as a heart pick up right now. If the player has full health, they can't pick up the "heart." The enemy can now harm the player. 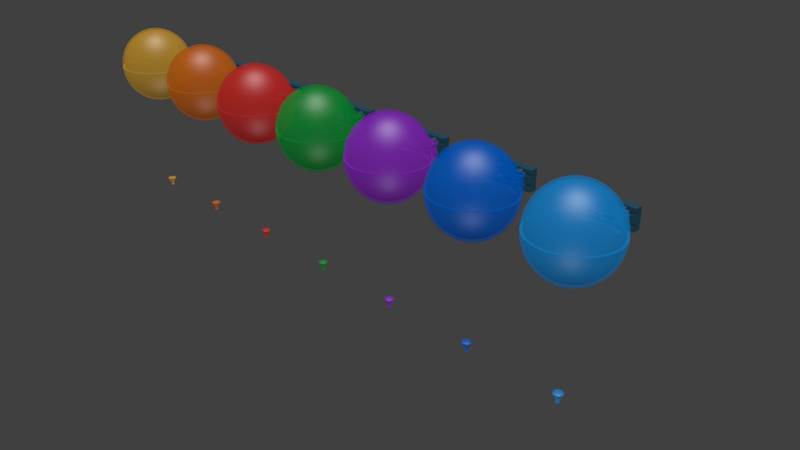 I have added coins/stud pick ups, represented with spheres for now. 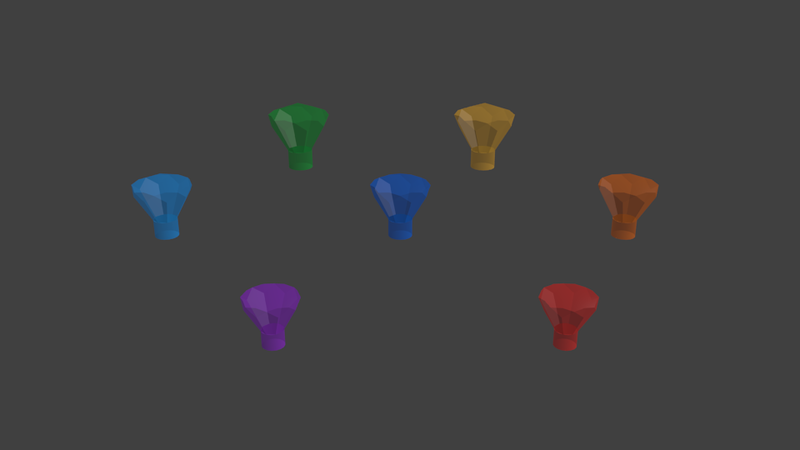 Silver studs are worth 10, Gold 100, Blue 1,000, and purple 10,000. The player can also hurt enemies by left clicking and damage shows on both the player and enemies. Damage times are fast right now, but I'll adjust it once I make animations. Each hit to an enemy is worth either half their health or all of it, chosen randomly. I now have an enemy manager set up. It can spawn a set of enemies, spawn on intervals, and randomly spawn at sets of spawn points. There's also a pause menu that is accessible with the escape key. It starts on "Resume" whenever you open it, even it you close it using escape when another button was selected. Right now you can use it to get to the options menu. The options menu lets you toggle the background music on and off and change the music volume. The volume level is remembered when turning the music on and off. There's now a main menu. You can use it to start a new game, change the music volume, and quit the game. I also have a load menu setup, but it doesn't actually load anything. The "Quit Game" button in the pause menu works now. The main menu and the game are separate scenes in Unity that can load each other. I also have a freeroam mode set up, which changes the UI a little bit. I have reworked how the game starts up to allow for character switching. Character switching and the character select menu both work now. I have the character select menu set up in a grid in the video to show that it wraps around when you reach an edge and try to keep going in the same direction. I can also customize how many rows and columns the grid has. 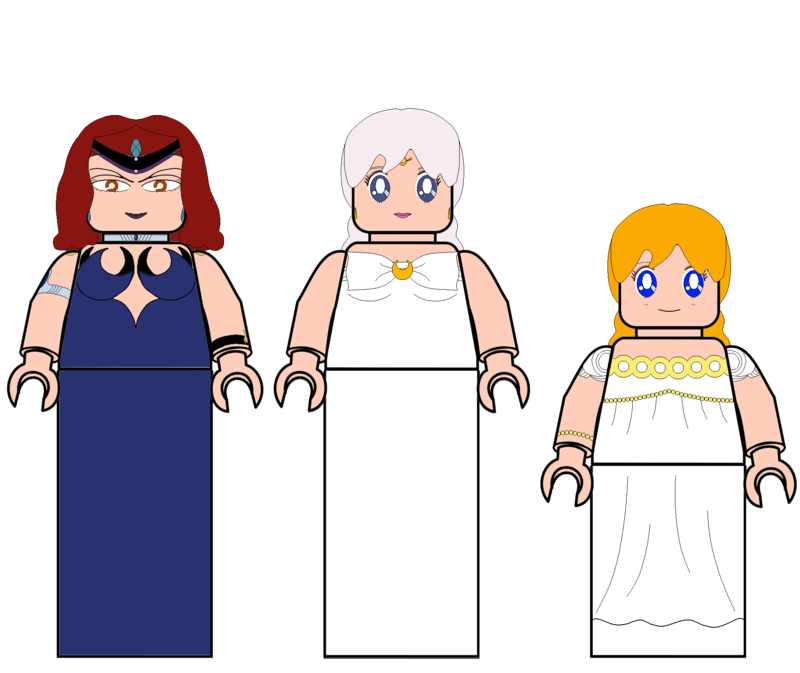 Sailor Mercury and Sailor Mars are shown using the minifigure material with the color changed. 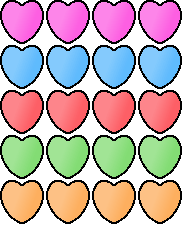 I also have the player icon and hearts icon updating based on which character is being played. 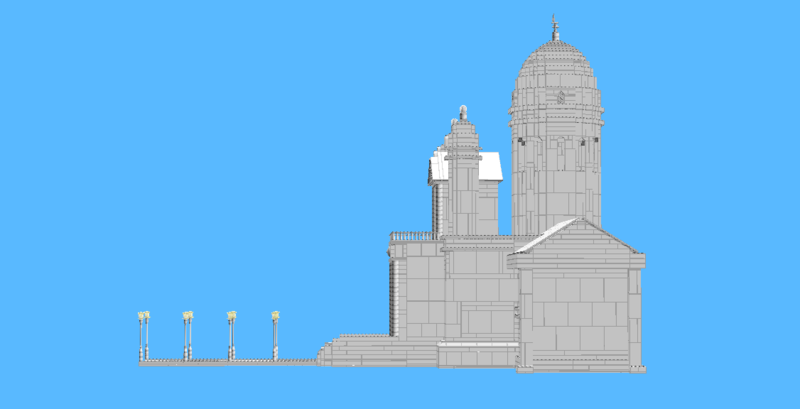 Unity doesn't allow a GameObject to have more than one UV map, so I need to go back and re-map my models. 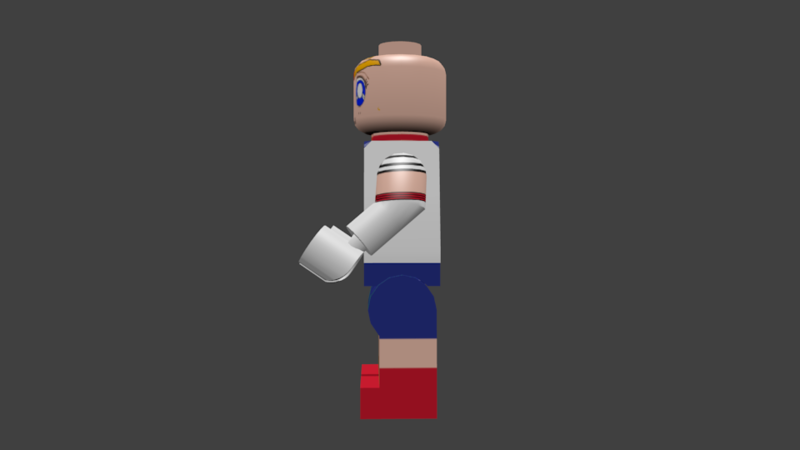 I also need to add armatures to the rest of them. I've uploaded all the videos to YouTube and have updated my posts. 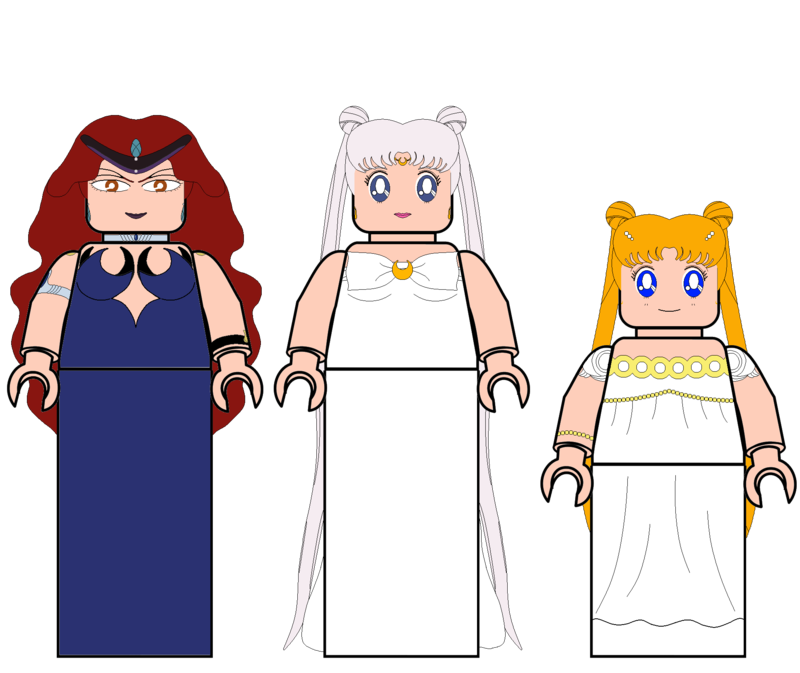 You can also watch them in this playlist: LEGO Sailor Moon Project GameDev. This is looking awesome! I didn't realize you were going to make it so players can change characters, which looks really cool. I've subscribed on youtube; I can't want to show my nephew (he loves coding and programming)! Awesome. Thanks for the compliments and subscription. I hope your nephew likes it, too. What's nice about Unity is that it does a lot of the heavy lifting for you. 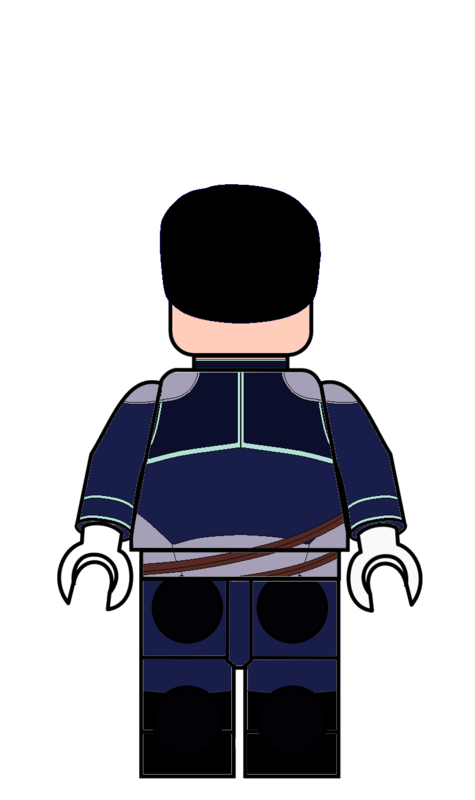 I'm working on another round of UV updates and I think I've found a decent way to bring my minifigure rig into my other files. 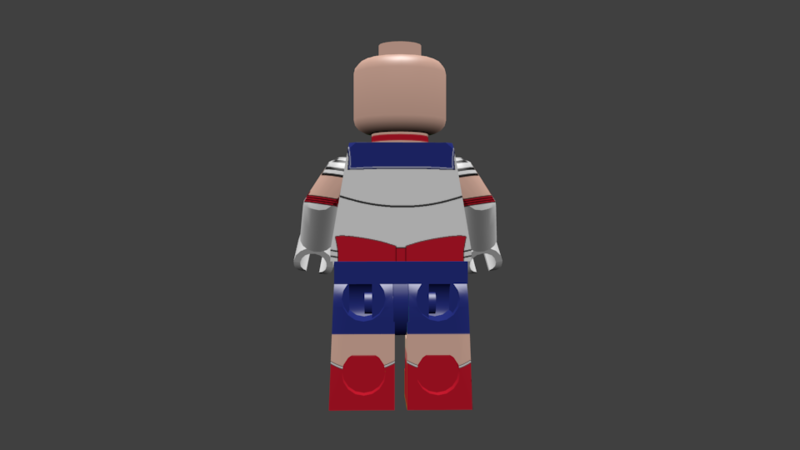 Quick update, I have all the regular minifigures re-textured, rigged, and brought into Unity. I also noticed that I forgot to update the circle color for the character you've selected in the character picker, so I fixed that. I also added an option in the Extras menu to turn off using DiC names; it's on by default. 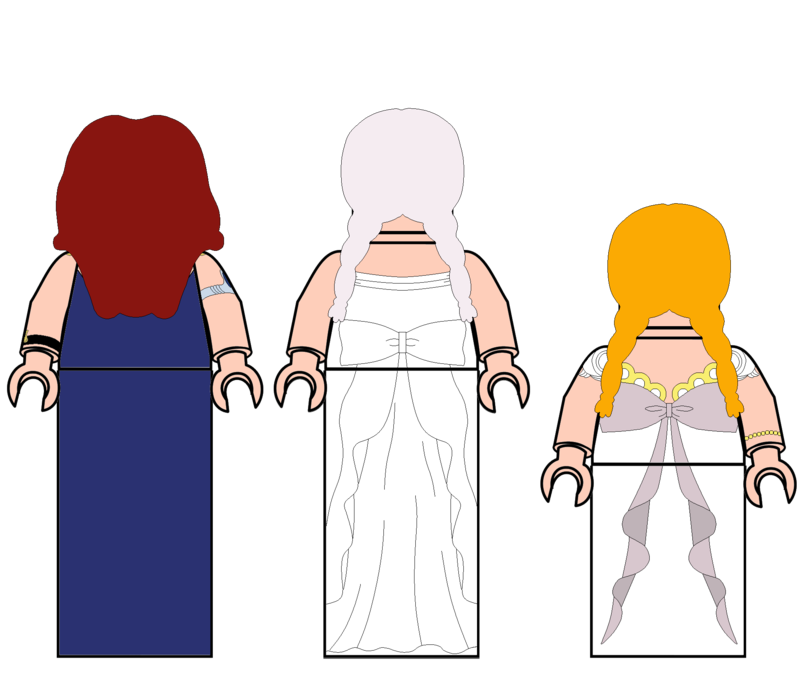 Right now I'm working on getting the minifigures with dresses rigged. I've finished rigging all the minifigures! It turns out the issue I was having with clipping was just a Blender 3D View issue and the model wasn't actually clipping. 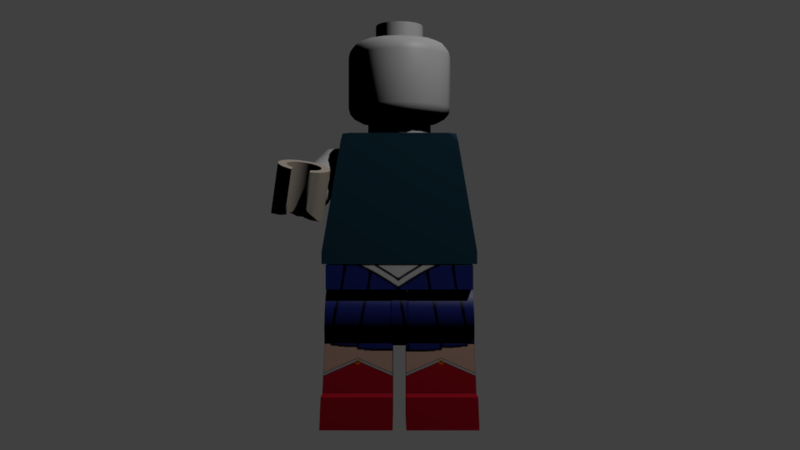 I now have both dress sizes rigged and all the minifigures are playable in Unity. I made a video showing how I add an armature to a model and then bring the whole thing into Unity. Oh you're using Unity! :0 I don't know too much about it but I heard it's really good. Yeah, Unity is a nice game engine. It does most of the heavy lifting.